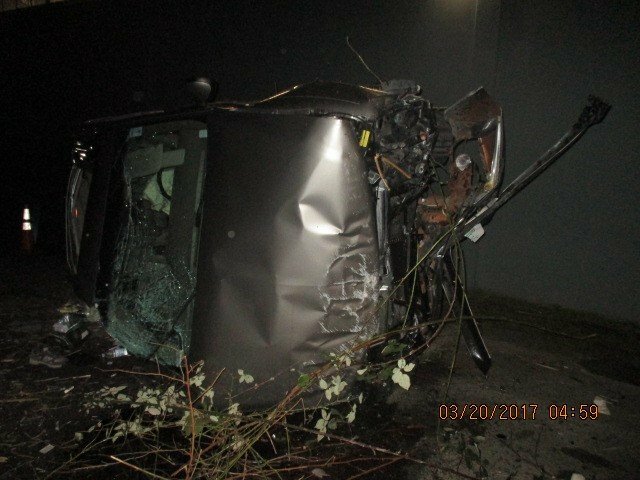 The Washington State Patrol is asking people who witnessed these crashes to come forward and speak with officers about what they saw. Call (360) 596-4000 or the number for your local district office to give your witness statement to officers. Accident description: This incident began when the driver of a Buick Park Avenue sedan apparently lost control and hit the guardrail on the left side of the highway. The Buick flipped and landed on its roof in the median. A woman was ejected from the vehicle and thrown into the northbound lanes of Interstate 5, where she was struck by several other vehicles. A white Volkswagen Jetta traveling on Interstate 5 swerved to avoid the woman in the road and rolled over onto its right side. The woman who was ejected from the Buick died. The driver of the Volkswagen sustained minor injuries. Three people who had been in the Buick sustained non-life-threatening injuries. Investigation: Detectives are not yet sure who was driving the Buick. They obtained search warrants and performed blood draws for all of the surviving occupants of the Buick; all showed signs of intoxication. One was booked into jail on an outstanding felony warrant. Accident description: A vehicle that was traveling on Interstate 5 at a high rate of speed apparently lost control and crashed into a gold Chevrolet Tahoe. 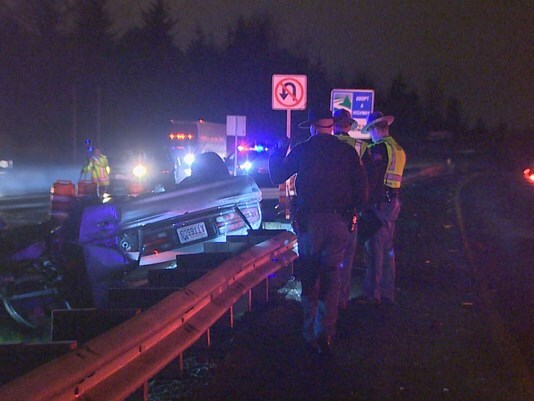 The Chevrolet tipped over the right barrier of the freeway, fell 30 feet, and landed in a parking lot owned by the Seattle Department of Transportation. The driver of the vehicle that struck the Chevrolet continued southbound on Interstate 5 and left the scene of the accident. It has been described as a dark four door sedan. The driver of the Chevrolet Tahoe was transported to Harborview Medical Center with serious injuries. It is unknown whether the driver of the dark sedan sustained injuries in the crash. Investigation: Police are searching for the dark four door sedan. If the driver is found, he or she will likely be charged with felony hit-and-run.